Peak Transfer provide reliable airport and in resort transfers from Geneva to Courmayeur, get a quote and book online today. You can check out our Courmayeur Winter and Summer Guide in the Peak Transfer Blog. Courmayeur is a fabulous Italian town located at the foot of Mont Blanc only 13km from Chamonix connected by the Mont Blanc Tunnel. Although close in distance to Chamonix both towns have a very different feel. Courmayeur is sat in the Aosta Valley which plays host to other great ski areas such as La Thuile. Courmayeur has some great skiing in winter but not such an extreme feel as its neighbour. 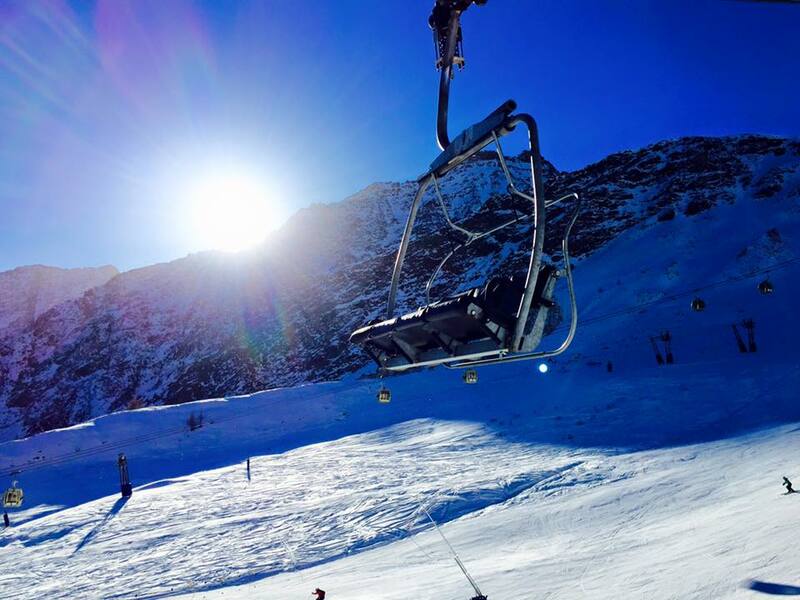 With over 20 lifts and 30 pisted runs there is more than enough to keep the keenest skiers entertained. Some of the off piste around Val Ferret & Cresta Arp can compete with anything in Europe. It also provides great altitude with the town at 1225m and the top lift taking you above 2750m meaning you get great snow conditions in both early and late season. Courmayeur also boasts some great snow shoe tracks along with activities such as Husky Dog Sledding and cross country skiing. For more information on what is available in the fabulous location visit the resorts tourist office site here. You can certainly sense the Italian approach to a relaxed life where there is always time for coffee! Even though it is a mountain town it has a style and sophistication that draws the great and the good from Milan each winter. The shops and restaurants cater very much to its clientele but as with most places in Italy fabulous food doesn’t have to cost the earth. Airport transfers from Geneva to Courmayeur take between 1hr30 and 2hrs dependant on traffic and weather conditions.